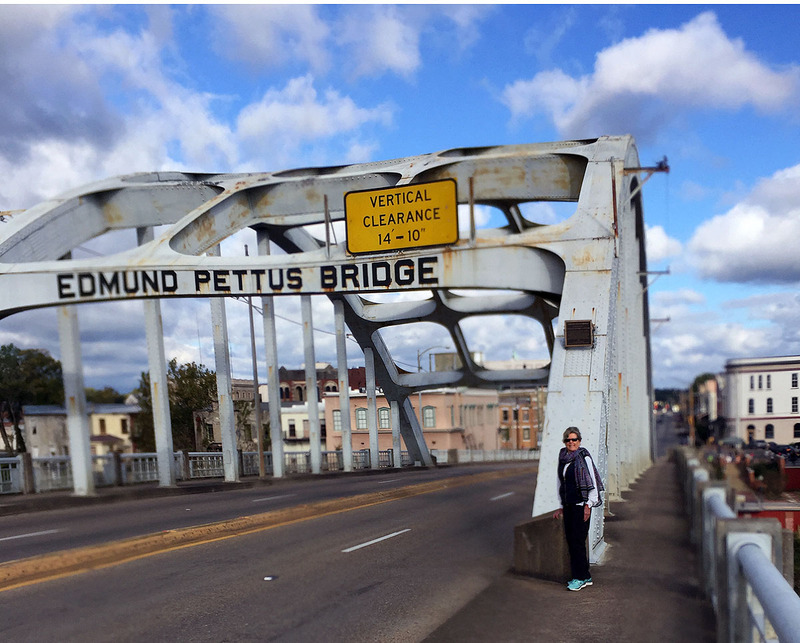 Sound asleep in the middle of the night in Montgomery, Bonnie wakes me to announce: I want to go to Selma to see the Voting Rights Bridge! It’s only 60 miles away. The Rosa Parks Museum doesn’t open until 9 AM, and we could be in Selma by then. As ugly looking as it is, the Edmund Pettus Bridge that crosses the Alabama river into Selma became one of the most violent and iconic landmarks in the history of the Civil Rights Movement of the 1960s. Martin Luther King, Jr. organized a voting rights march to Montgomery, the capital of Alabama, to petition Governor George Wallace to permit African American citizens in Alabama to register to vote. 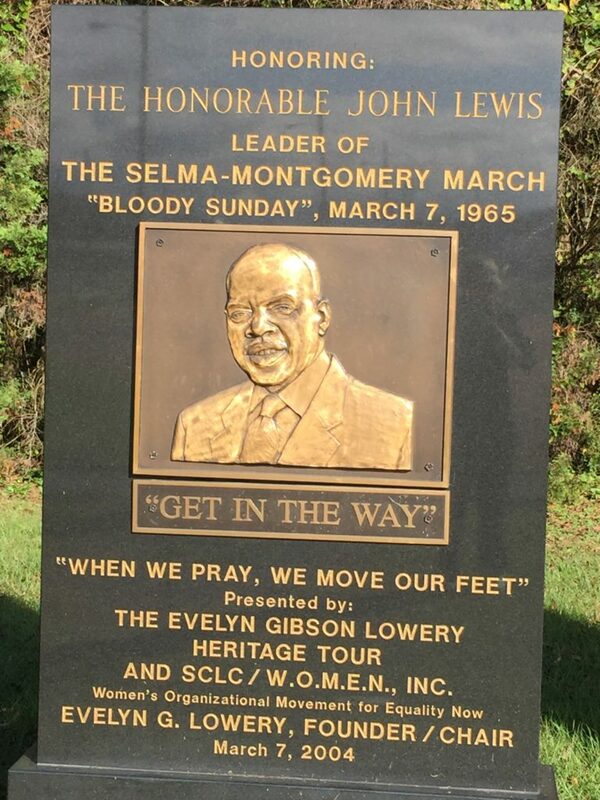 The March would begin in downtown Selma, cross the Edmund Pettus Bridge, and continue on Highway US-80 to Montgomery about fifty miles away. March 7, 1965 – About 600 people begin a march from Selma, Alabama, to Montgomery, Alabama, led by John Lewis and Hosea Williams. Marchers demand an end to discrimination in voter registration. At the Edmund Pettus Bridge, state and local lawmen attack the marchers with billy clubs and tear gas, driving them back to Selma. March 9, 1965 – Martin Luther King Jr. leads another march to the Edmund Pettus Bridge. The march is largely symbolic; as arranged previously, the crowd turns back at a barricade of state troopers. Demonstrations are held in cities across the United States to show solidarity with the Selma marchers. March 18, 1965 – Governor Wallace goes before the state legislature to condemn Johnson’s ruling. He states that Alabama cannot provide the security measures needed, blames the federal government, and says he will call on the federal government for help. March 20, 1965 – President Johnson issues an executive order federalizing the Alabama National Guard and authorizes whatever federal forces the Defense Secretary deems necessary.